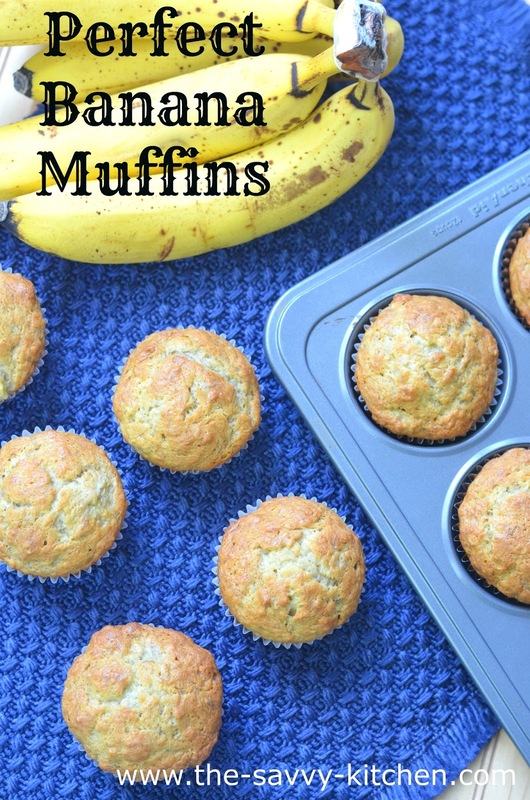 I love having muffins on hand for a quick on-the-go breakfast. All the ingredients are pantry staples for us, so as soon as we have overripe bananas these are in the oven pretty quickly. 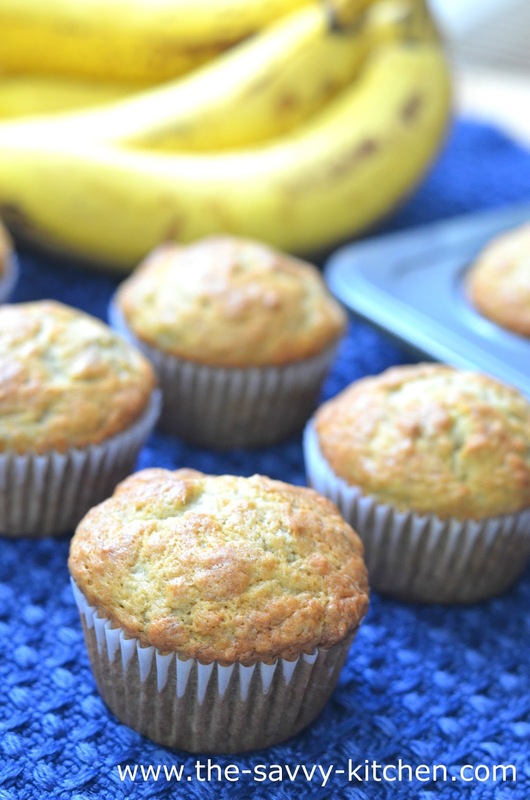 They are moist and you can really taste the bananas in them. We have to provide snacks for Bradley's preschool class every so often, so I've made these a couple times and he says the kids love them. Enjoy!